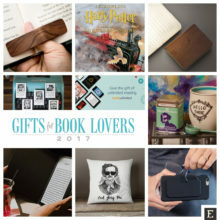 Gifts for book lovers: personal accessories, tablet and phone cases, posters, home decor, digital downloads, and more. 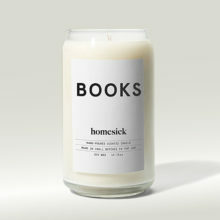 Homesick’s “Books” soy candle offers the scent of cherry blossoms, combined with stone-faced buildings and leather-bound vintage books in a sunlit library. 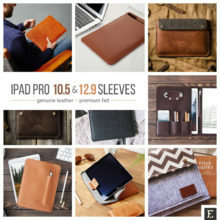 Premium sleeves for iPad Pro 10.5 and 12.9, hand-crafted from genuine leather and natural felt. Options with or without Apple Pencil holder, for iPad with Smart Cover and Smart Keyboard. Personalization options are available. 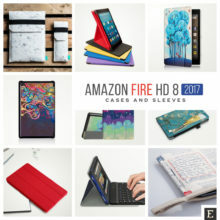 Best cases for Amazon Fire HD 8 tablet released in 2017. 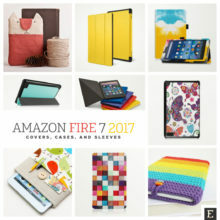 Advanced functionality, unique style, affordable price. 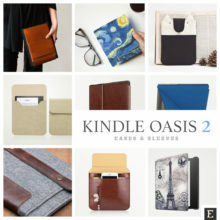 Folio cases, slim shell covers, felt sleeves, and keyboard cases. Enjoy! A list of versatile keyboards for current iPad models. 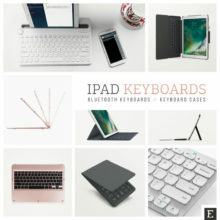 Foldable keyboards, cases with built-in keyboards, universal keyboard stands, and more. 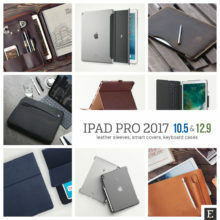 A selection of the most functional covers and sleeves designed for Apple iPad Pro tablets released in 2017: Pro 10.5 and Pro 12.9. 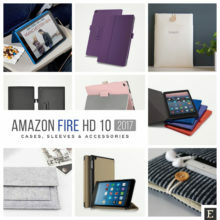 Leather sleeves, keyboard cases, stand covers, rotating stands, military-grade cases, and more. 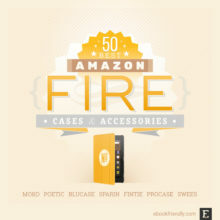 Amazon, Etsy, Otterbox.